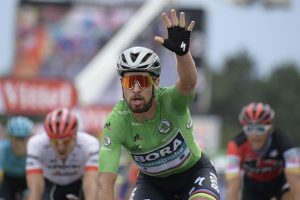 Sagan Peter retained his top rank in the Men’s Cycling rankings, while the defending champion, Chris Froome moved to the 2nd position amid his 3rd position at Tour de France 2018. The man of the moment and the winner of Tour de France 2018, Thomas Geraint jumped 37 ranks up and is now placed at the 4th position. Some of the many other upgrades post this tour, were of Tom Dumoulin, Julian Alaphilippe and Roglic Primoz who are now placed at 5th, 7th and 12th position respectively. Italy retained its top position while Belgium is also firmly rooted at the 2nd place. Some of the significant upgrades were of Netherlands, Great Britain and France who are now placed at 3rd, 5th and 10th position respectively. Quick Step Floors remained at the top while Team Sky took the 2nd position; courtesy of Thomas and Froome’s recent performances at the Tour De France 2018. Some of the significant upgrades were of Bora – Hansgrohe, Team Lotto and UAE Team Emirates who are now placed at 3rd, 9th and 12th place respectively. For Women’s cycling rankings and complete rankings of cycling, go to the next page!